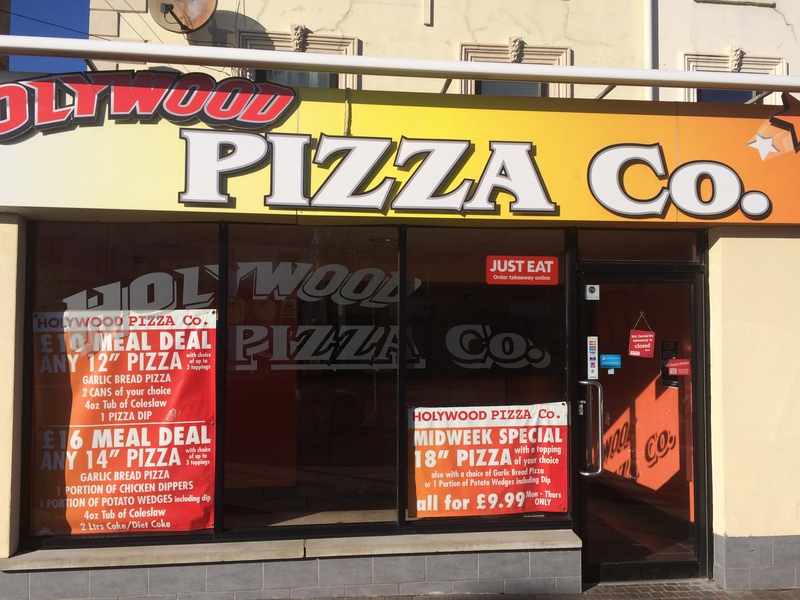 Hollywood pizza company is based in high street Hollywood Northern Ireland they offer a carryout and delivery service around the Hollywood area. 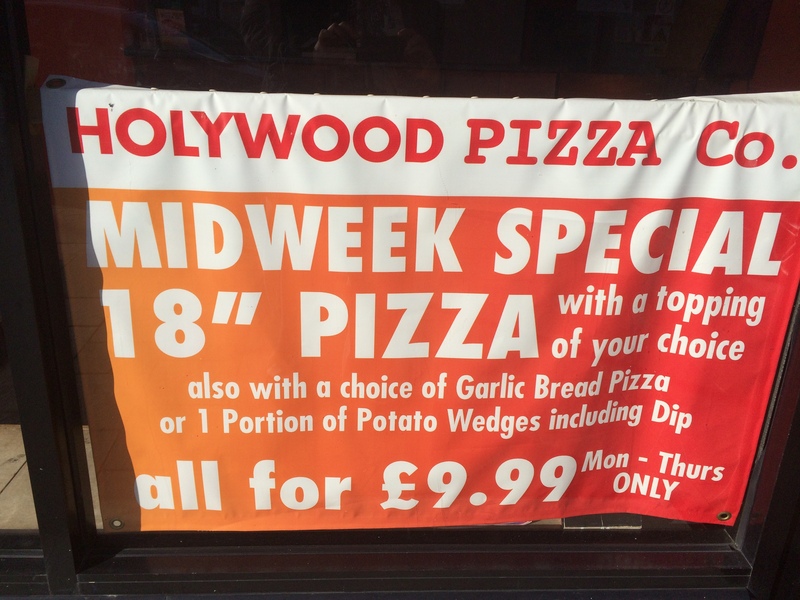 As well as having their normal pizza menu they also have a selection of specials as well. 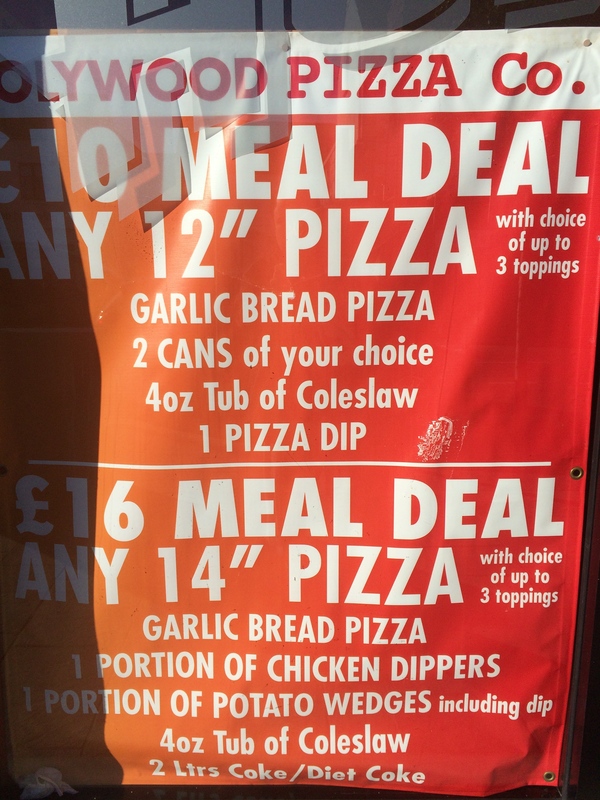 There are all kinds of different meal deals and special offers as well as offering these special meal deals, they also offer their customers A discount card the members for this is completely free and as well as getting money back every time you buy your pizza. 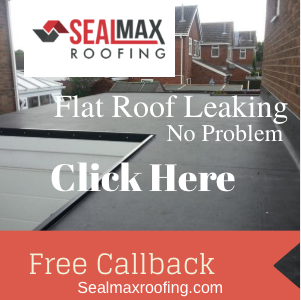 You also can get money back in large supermarkets and shopping chains like boots,halyards,Tesco,Band Q,Costa Coffee,Pizza Hut,Marks And Spencer and lots lots more. All you need to do is ask us for a form to get our free cashback discount card, that means you can get money back every time you buy a pizza from us. How cool is that?